My Hot Water Service Needs Replacing! Besides renovating your home replacing your hot water service is likely to be one of the major costs your household will face. With the cost of heating hot water ranking second in dollar spend for household electricity costs, Whywait Plumbing believes it is imperative that you are well informed before making any decisions on your new hot water service. With the plethora of makes and models available, the push for energy efficient solutions and a range of next generation water heaters on the market it is now more important than ever to do your research to ensure you select the best option available for your families hot water needs. 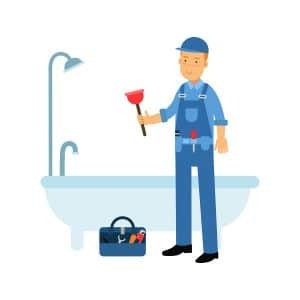 If you have been thinking “which hot water service should I buy?”, Whywait Plumbing will help by explaining the options available in the marketplace. 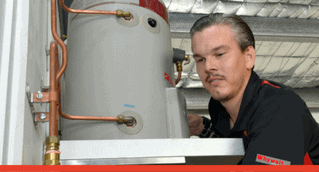 Electric hot water services are the most common form of heating hot water. They consist of a storage tank with an element that is thermostatically controlled. As hot water is drawn off and cold water enters to replace it the element comes on to reheat the water. Ideally suited for like for like replacement. Available in a large range of makes, models and sizes. Readily available for same day installation. Suitable for connection to off-peak electricity tariffs. Limited capacity if connected to off-peak tariffs, so you have the possibility of running out of hot water should the demand for hot water exceed the capacity. Gas hot water services come as either the traditional storage tank, which works in a similar way to electric but uses gas rather than electricity as it’s source of energy, or instantaneous gas hot water services which only activate when a hot water tap is turned on. Instantaneous gas hot water services have become more popular than the traditional storage tank due to their superior efficiency. If you do not have reticulated natural gas in your suburb then LPG models are available. NB: It is imperative that the correct sized unit is installed for your house to ensure adequate delivery of hot water. Provide on demand hot water. LPG running costs can be expensive if hot water demand is high. Need to refill gas bottles if running on LPG. Whilst natural gas is cheap to run there will also be service fees charged by the energy retailer. Solar hot water services capture and retain heat from the sunlight and transfer this heat to the water stored inside the tank. Solar hot water services are available in both roof mounted and split systems. Roof mounted solar systems have both the tank and solar collectors or panels located on the roof and split systems have the solar collectors or panels on the roof and the tank on the ground with a circulating pump connecting the two. The heart of a solar hot water system is the collectors as they trap the heat and transfer it to storage, so for optimum operation they need to be located on a north facing roof. Solar collectors are available as both flat panel or the more efficient evacuated tube system. Low to no running costs. Available in a range of makes, models and sizes. Dependent on sunlight for heating so operation is affected by the weather and may also need to boost electrically during the winter months to ensure an adequate supply of hot water. Any hot water used at night will not be reheated until the next day unless the electric booster is on. Must still be connected to electricity so will be charged a small service fee by the energy retailer whether you use electricity or not. Alters aesthetics of the property. 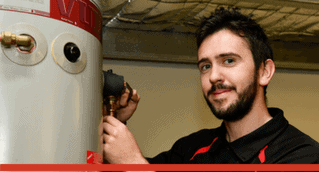 Heat pump hot water units are designed to deliver hot water day or night no matter what the weather conditions. A heat pump unit uses a fan to draw in ambient air which is absorbed by a refrigerant gas. As the warm gaseous refrigerant circulates through the system it passes through a compressor where it’s pressure and temperature rise. The hot refrigerant then passes through a heat exchanger which heats the water. The refrigerant is cycled back into the system, and the hot water is pumped into the storage tank. Here at Whywait Plumbing we recommend the Sanden “Eco” Hot Water Heat Pump the most energy efficient hot water heat pump currently on the market as certified by the Australian Government Clean Energy Regulator. Low running costs proven to use 20% of the electricity costs of electric storage tanks. Whywait Plumbing are more than happy to help. Call us today to speak with one of our friendly staff. Is No Hot Water A Plumbing Emergency? If you are reading this because you have no hot water and wondering if having no hot water is a plumbing emergency, read on. Having no hot water is considered a same day guarantee situation for our plumbing business, but this may not be the case for other local plumbing companies. 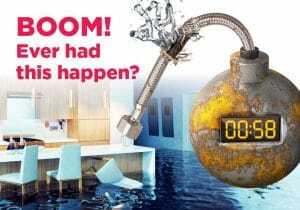 Even though no hot water usually isn’t an emergency, at our Gold Coast business, Whywait Plumbing, we made the decision many years ago that we don’t consider hot water to be a luxury, so for this reason we offer a same day guarantee for situation where a household is without hot water. So why haven’t you got hot water? If the relief valve is leaking activate lever until water runs out in a continuous flow, then return lever to original position and see if the leak stops. A faulty tempering valve usually results in tepid water rather than no hot water, you can test this by activating the relief valve and checking if the water in the tank is hotter than the water delivered at the taps. If your hot water service is connected to off- peak electricity check with your energy supplier to see if there has been any problems, in your suburb, with transmitting to the relay switch at your home. For solar hot water check for foliage blocking sunlight to panels, that panels are clean and if cloudy or wet that the booster switch is on. Check the hot water switch is in the on position. Emergency or not, having hot water that is not hot enough, or no hot water, can be unpleasant and inconvenient, however you will be happy to hear in most instances it is a simple fix. If you’re thinking about replacing your hot water service and not sure what is best to suit your family then look out for next weeks Blog – Choosing a New Hot Water Service – How do I know what’s right for me? How to turn off the water at the water meter (usually located in a turf box on the property boundary). Should an emergency arise where any of the above is required having this prior knowledge will allow the situation to be handled quickly and calmly allowing you to make the situation safe and minimising damage to the property. Why Is My Hot Water Not Hot Enough? A common question we get asked this time of year in relation to hot water repairs is “Why is my hot water not hot enough?”. We find our customers tend to notice this problem predominately when showering and in most instances the temperature of the water hasn’t suddenly changed. It’s more that when the weather is cooler we tend to increase the ratio of hot to cold water and therefore any fault that affects the hot water becomes more apparent. When customers ask “why isn’t my hot water not hot enough” we always provide as much information as possible. Let’s take a closer look at each of these possible problems. Tempering valves are designed to blend hot and cold water to deliver water at a constant temperature that does not exceed 50’C. If water entering the tempering valve contains small amounts of sand or other debris this can become lodged in the filters of the tempering valve and affect the operation of the valve resulting in lukewarm rather than hot water. Read more about tempering valves. If your hot water service is older (usually 10-15 years) or you have overlooked regular maintenance it could result in a problem with the heating system. The element is the mechanism with in the hot water service that heats the water with the thermostat being responsible for switching the element on and off. Any problem with either of these parts can result in disruption to you hot water. The relief valve is responsible for releasing built up pressure as the water heats. If this valve is constantly leaking then you will lose hot water which in turn is replaced with cold water that cools the hot water stored in the tank. Typically if a tanks capacity is over 125L then you would connect to one of the off peak tariffs which means that electricity used by the hot water system will be charged at a lower rate. Whilst this makes for a cost effective solution it does come with some limitations as you do not have an unlimited supply and if for any reason your demand for hot water increases there is always the possibility that you could run out of hot water. If you are finding the hot water in your household is consistently not hot enough, and repairs are not required, then seriously consider a larger capacity, new hot water system. Here at Whywait Plumbing we don’t consider hot water a luxury, it is a necessity. So if you live on the Gold Coast, call us now for Same Day Service.